Shop a variety of the best winter tires now, and be prepared when the storm arrives. Winter high temperatures in your area are consistently below 7 degrees C or 45 degrees F (°F to °C). The weather and road conditions in your area, the frequency of use and intended mileage to be covered. If living in a remote area, you may be better off by adding studs to your tires for better traction on snow and ice, however some provinces and state laws prohibit these, so check with us about your driving location. Some winter tires have built in studs into the treads. As weather conditions change, driving in snow, ice or both conditions make a difference on which brand and type of winter tyre is best for your needs. Visit us at NMT Oakville, to find out which winter tire is best suited for your driving needs, to get you through winter safely. Whether you are driving on the slushy streets of Toronto, or on a busy Oakville highway on any snowy day, it is unthinkable to sit behind the steering wheel without having the protection of winter tires. If you have been living in Ontario all your life, you are well-accustomed to the challenges that diversity in weather can pose to even the most well-trained drivers in this province. We have all kinds of days here – dry, wet, snowy, slushy and icy days. To make our way around the city, we are dependent on our wheels and tires to run smoothly and give us road handling control despite the weather. Winter tires are most suitable for driving on icy roads, or slushy, wet and snowy roads. Why can’t I use my All-Season Tires during winters in Ontario? Just like the name suggests, all-season tires are meant to accommodate all kinds of road conditions – dry, wet or a bit of snow. 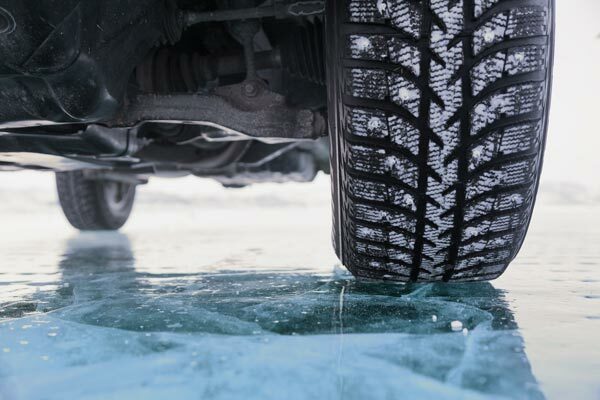 However, knowing how road conditions can deteriorate during continuous snowfall, or wet roads turning into dead ice in sub-zero temperatures, you don’t want to rely on tires that are meant for all seasons. Compare this situation to the famous proverb “Jack of all, master of none”. Whenever you are driving on low friction surfaces like wet or icy roads, your ability to maintain control is diminished. 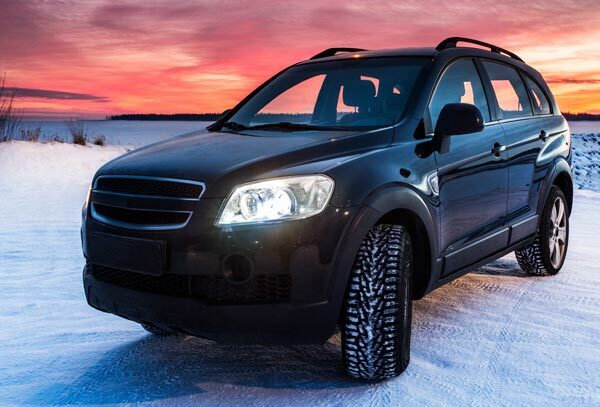 For you and your loved ones’ safety, you want tires that are most suited to a specific weather condition. It is recommended to change to winter tires when the temperature reaches 7 degrees Celsius. 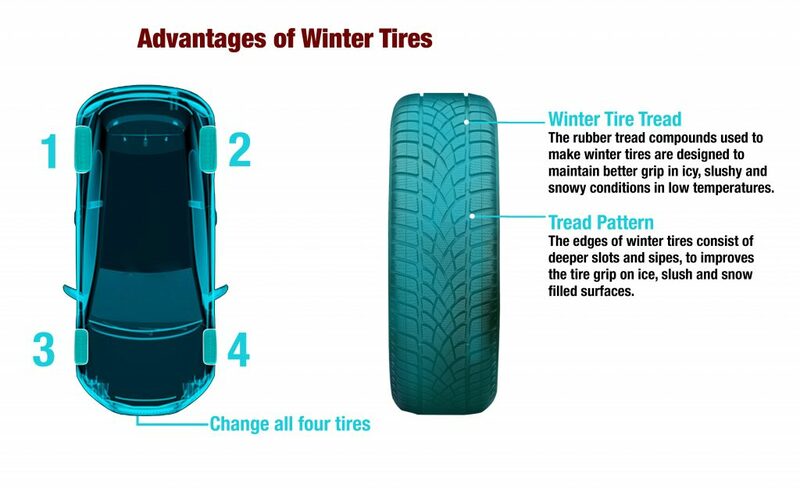 The tread patterns on winter tires differ greatly from all season tires and high-performance summer tires. Winter tires are designed with a deeper tread depth that have more slots and sipes, tiny slits with biting edges that grip onto the ice. The combination of these tread features on the winter tire, allows for better control on the roads due to their ability to grip the ice harder, and dig deeper into snow. What can Winter Tires do that a regular tire can’t? That’s a valid question. 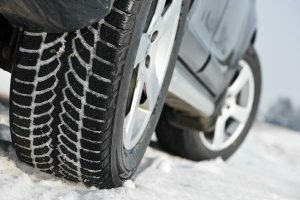 Let’s explain to you what tires do and how winter tires are designed to facilitate driving in tough weather conditions. Friction is what keeps the tires running on the road or stopping when required. Tires are designed with appropriate tread depth to provide a contact path or adequate surface area that will enable continuous friction. When the contact path decreases, the friction decreases which can lead to a vehicle’s slipping or loss of control on the road. 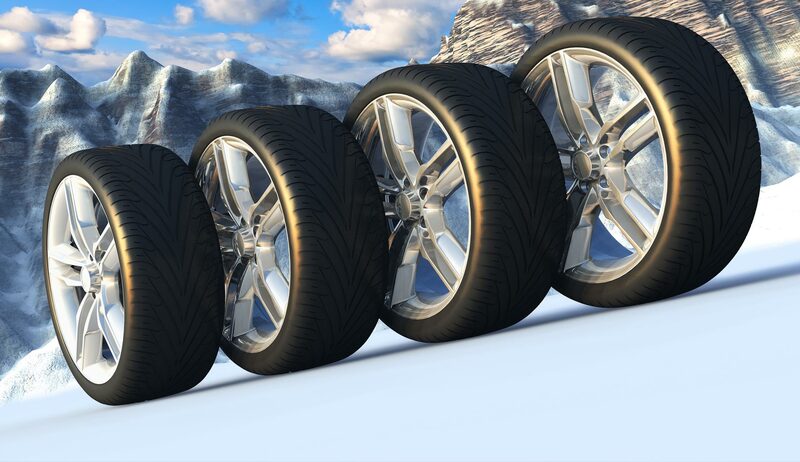 The tread compound of all season tires can start to harden as the temperature starts falling. This will in turn reduce the traction or contact path leading to increase in chances of slipping or sliding. On the other hand, the rubber compound used in winter tires will ensure that the tread can withstand cold temperatures, even extreme cold, thereby maintaining appropriate traction. The tread depth and tread pattern for winter tires will allow a stronger grip on an icy road, or dig deeper in snow. Proper friction will allow the vehicle to maintain control during accelerating and applying brakes. Driving and stopping – both become easier. That is why winter tires will keep you safer during snow and ice-related road conditions. Why should I replace all four tires? Simply because it is safer and serves the real purpose of winter tires! Remember that each of these tires is meant to strengthen the vehicle’s accelerating and stopping capabilities. Each tire will provide contact path that will ensure appropriate traction leading to required friction. If you change only two, the other two will be lacking the friction support so necessary for tough road conditions. It means you will have less control with acceleration, applying brakes or cornering. Especially, as most vehicles will either have a rear wheel drive or a front wheel drive. With all four tires changed to winter tires, you have better vehicle control on the road than changing just a couple of tires. Do I need studless or studded winter tires? 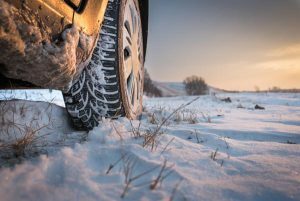 On severe icy roads, or snow covered off grid mountainous terrain studded tires are recommended, but they may be prohibited in some Provinces and States. In Ontario, studded tires are permitted from October 1st to April 30th. Be mindful that studded tires will lack traction in on bare asphalt roads and in slushy conditions. For regular winter driving, stud less tires will be a better choice. 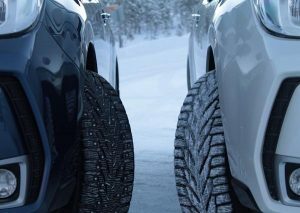 If driving of grid or out of province, come and talk to us about your best winter tire options. Do I still need Winter Tires for an all-wheel drive or 4-wheel drive vehicle? Yes. All-wheel drive or AWD, and 4-wheel drive or 4WD provides improved traction by powering all four wheels when accelerating, however this does not help provide control to your vehicle when you are turning, or apply the brakes. Winter tires will provide better control with overall driving. Do I need to check my tire pressure in cold weather? Yes. You should consistently check your tire pressure in all weather conditions, however more frequently in winter conditions is recommended. In cold weather, the outside temperatures drop and so does the temperature in your tires. As a result, the contracting air inside your tires lowers the tire pressure causing them to deflate. Once you start to drive and the air inside your tires may warm up and expand again, but there may still be loss of overall pressure, so check this frequently to ensure your winter tires can work well in cold weather. Why do I need to replace Winter Tires in summer? If winter tires help withstand harsh cold conditions, you might wonder why to change them at all. After all, it can be quite cumbersome to keep changing tires every few months. The reason is economical. If you decide to continue using winter tires during the hot summer months, the soft rubber compound will wear out sooner, and you will have to buy new winter tires by the time it’s winter again! A stitch in time saves nine. Replace the tires once the temperatures rise above 10 degrees Celsius and chances of snowfall are negligible. Use your all-season tires until it starts snowing again. To find out more about winter tires and its’ benefits in winter driving safety, check this report by Traffic Injury Research Foundation.